Vines can suffer from a wide variety of pests and diseases. These include many forms of rot. the most common is gray rot, when the grape clusters are filled with a cottony mold which often gives the wine a musty, unclean taste. Gray rot can be fought with sprays to protect the fruit. One disease that develops in only a few areas of the world is botrytis cinerea, also called pourriture noble or "noble rot." Through certain climactic conditions, spores settle on the skin of the grape and a fungus forms. The fungus digests the skin, and the grape rapidly becomes dehydrated. The skin shrivels and wrinkles, and the juice becomes more and more concentrated. 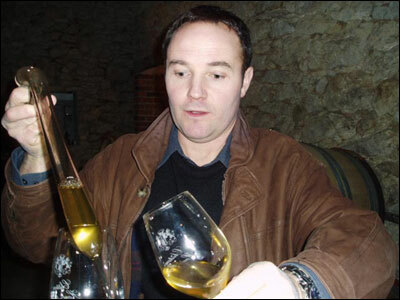 The vineyards of Sauternes produce some of the finest sweet wines in the world, and noble rot is encouraged. 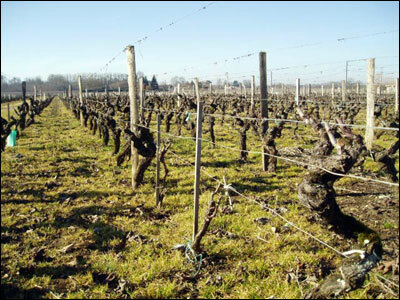 The Sauternes vineyards lie southeast of Bordeaux, next to Graves. 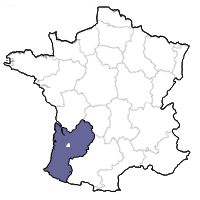 This is a heavily wooded area lying between the Garonne River and the forests of Les Landes, which stretch toward the Atlantic Ocean. Across the center of this small area flows the tiny Ciron River. It is the interaction of the warmer Garonne and cooler Ciron rivers that produce the morning mist that rises from the water and moistens the grapes, before the warm afternoon sun acts as a catalyst for the growth of a fungus on the grapes. Noble rot does not attack grapes in a standard fashion. Some grapes are affected at the beginning of the week, others the following week. Because of this, the harvest of Sauternes is complicated and expensive. Teams of harvesters normally past through the vineyards a number of times, taking only the rot-infected grapes. The entire harvest can last a couple of months, with the final passage through the vineyards taking place in late November. The major grape varietals used in Sauternes are Sémillon, whose weak skin is very attractive for the development of fungus growth. Sauvignon Blanc, which makes up for about 15% of the appellation's plantings, is not as susceptible to noble rot, but provides freshness and acidity to the final wine. Muscadelles is also allowed, although has declined in popularity over the years.